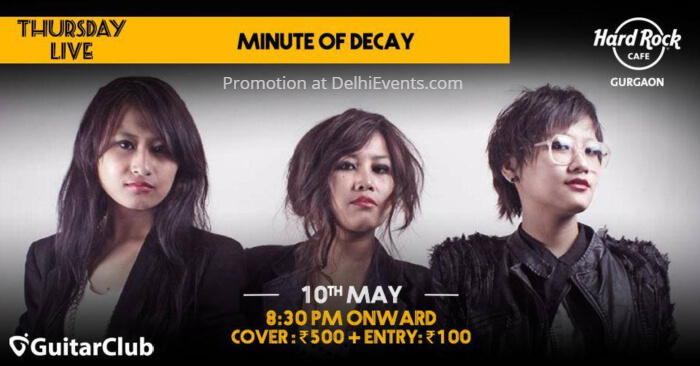 Event Description : MUSIC : Minute Of Decay - Thursday Live! The girls of Delhi are on fire! Are you ready for a spot on set of Rock? Trust me they are gonna set the mood right from the very first note. Expect a night full of madness by this band!